Imbolc Night–February 1–marks the beginning of the end of winter in some cultures and a time for new ambitions as spring approaches, so that was the night our Bay Area Satanists gathered in a private space in Oakland for our first ever Remembrance Ritual, a new ceremonial practice of grief, mutual support, and catharsis. 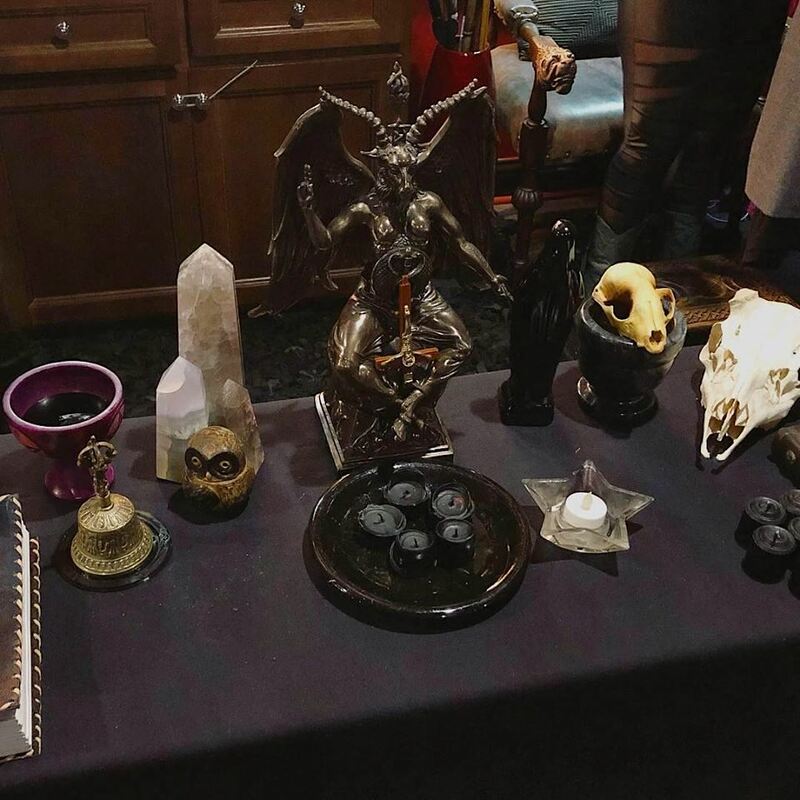 The year 2018 was a good one for Satanic Bay Area and for most of our members, but it was also a hard year; many of us lost family members and loved ones, some faced seemingly insurmountable problems, and the tenor of American society and the global conversation grew even more worrisome, creating stress, worry, and fear. With all that in mind we wanted to design a new ritual that would confront the difficult emotions stemming from personal strife. When tragedy strikes, other religions try to comfort believers with talk about god or the ages-old sentiment, “They’re in a better place,” but what do atheistic Satanists think or say about life and death when grappling with mortality? 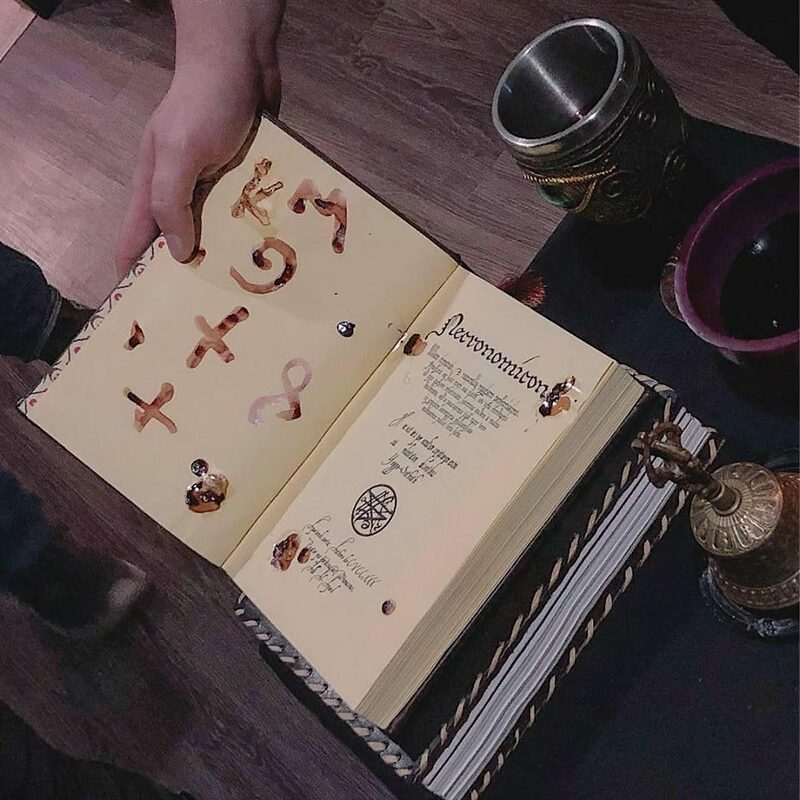 After some opening remarks, participants were invited to speak to the “congregation”–a group of about 20, mostly Satanists but also a few guests (and a couple of dogs)–about anything that they felt a desire to get off their chests. Organizers assured everyone there was no limit on their time, that no topic was disallowed, and that everyone’s feelings were considered equally valid. 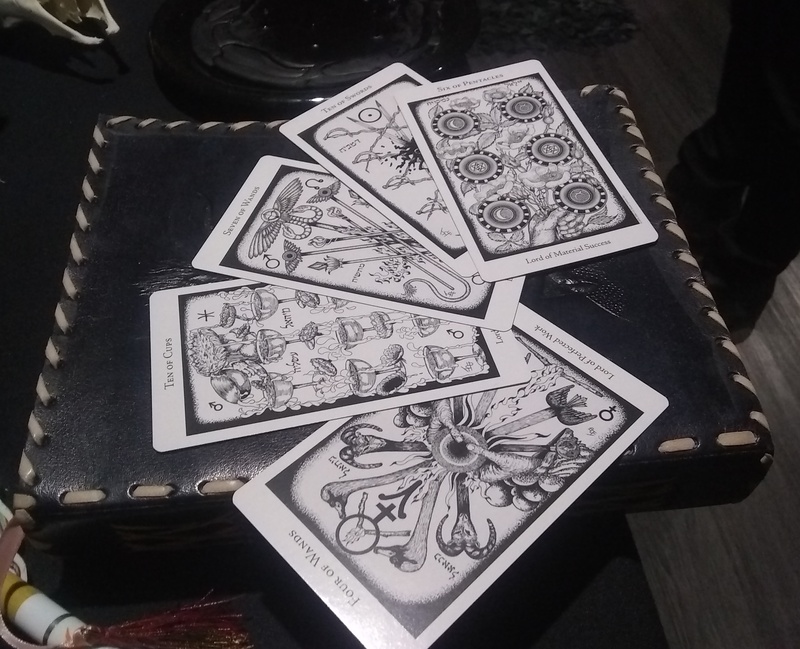 These five randomly selected Tarot cards played a part in the ritual, to remind participants that life is random and unpredictable. Once those who wished to speak had finished, Tabitha and Daniel conducted a new Black Mass (freely adapted from the medieval morality play “Everyman” and Christopher Marlowe’s 16th century stage play version of “Doctor Faustus”), then resigned a few objects to the flames as part of a semi-traditional Imbolc fire ceremony marking endings. 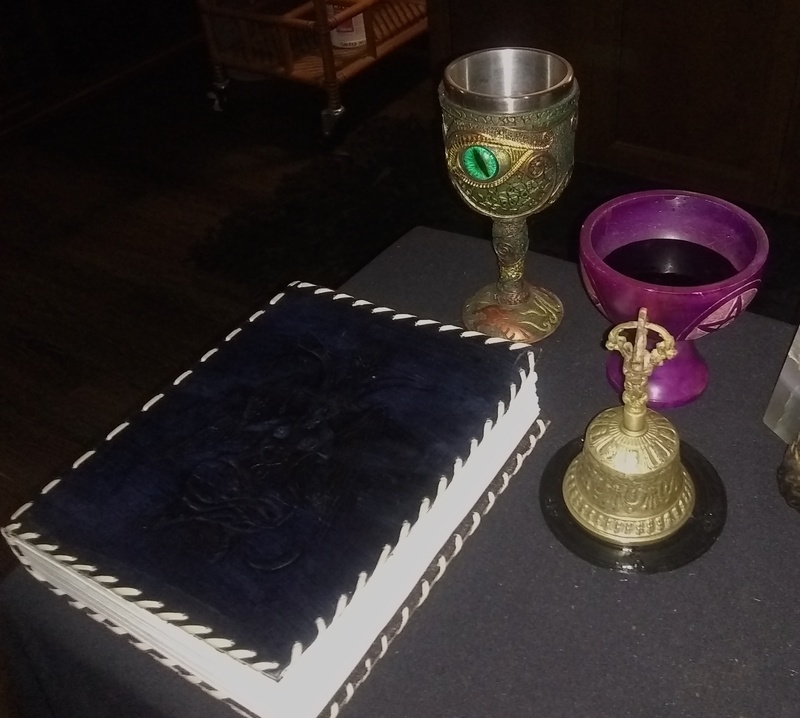 It was a difficult and emotional night full of intense emotions, but also a night of support, cooperation, camaraderie, and ultimately good feelings, as our Satanic masses ate, drank, remembered good times and bad, and shared the life-affirming gift of each other’s company. Our rituals always involve candles, but participants lit extra lights this time so that the burning would remind us of the passage of time. Some of the objects on the altar previously belonged to loved ones who have died, while others are gifts from still-living friends. The black book was sent by an out of town Satanist friend who couldn’t participate but wanted to contribute anyway. As always, first-time attendees were invited to leave their mark for our records. 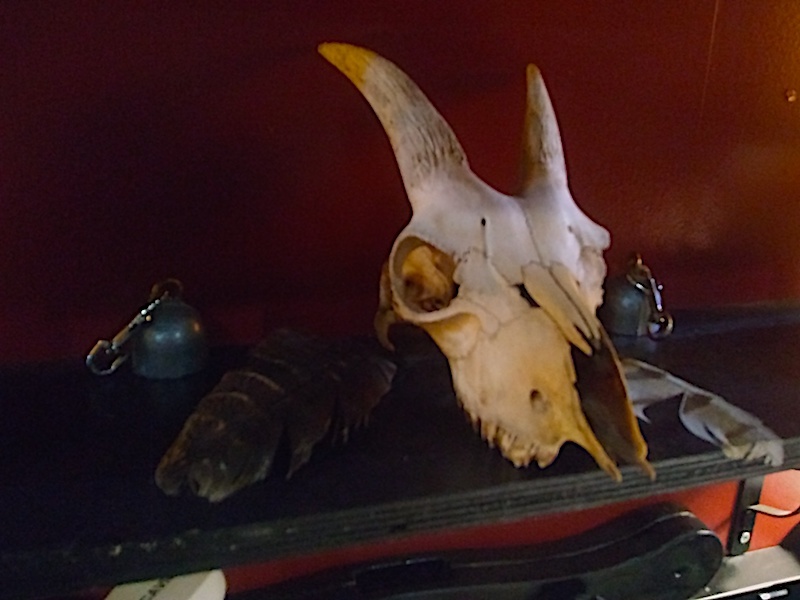 The goat skull isn’t ours, it actually comes as part of the rental. 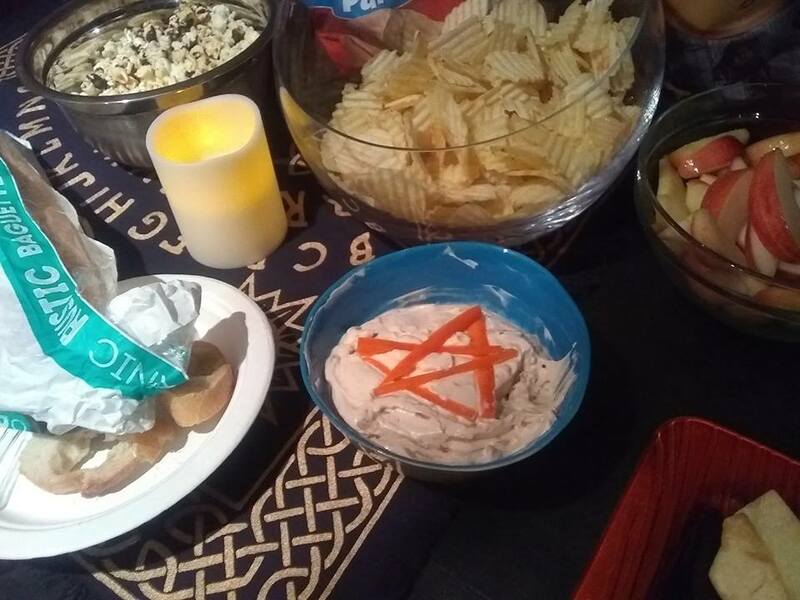 No solemnly Satanic occasion is complete without a decent onion dip recipe. 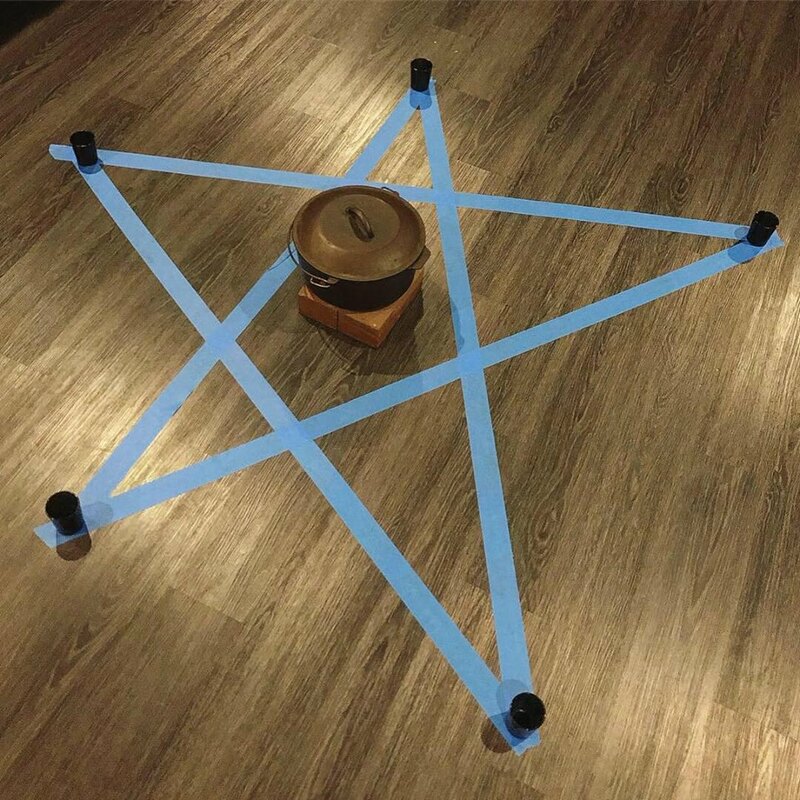 Those wondering where to stage a Black Mass of their own might want to heed our advice: Your friendly neighborhood dungeon provides great atmosphere and asks few questions. 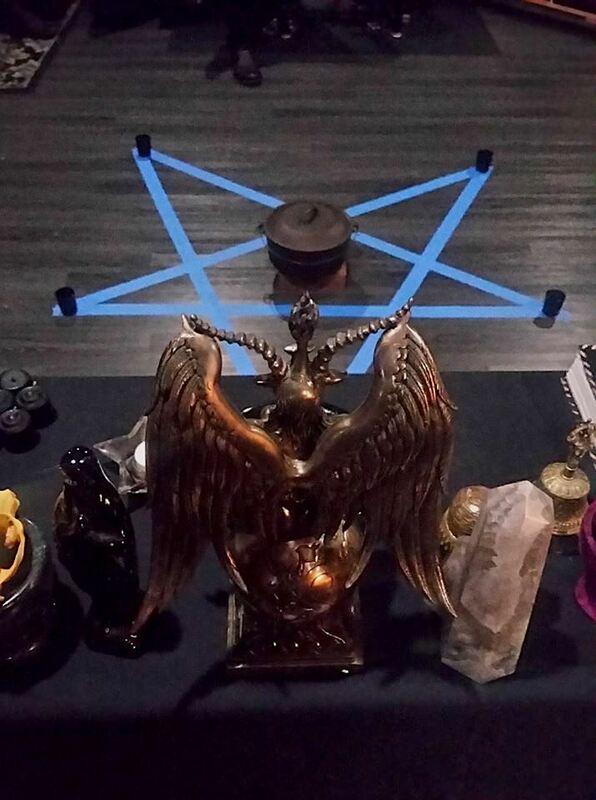 This St Andrew’s cross was not used during the ritual…but it was handy knowing it was there in case we needed it. Would be cool if somebody was writing down all these rituals you’re doing and editing then into a book. Would be a great (and actually useful) comparison to those old rituals published by LaVey & Co. I agree, and just the other day we were talking about adding ritual guides to our resources page here.